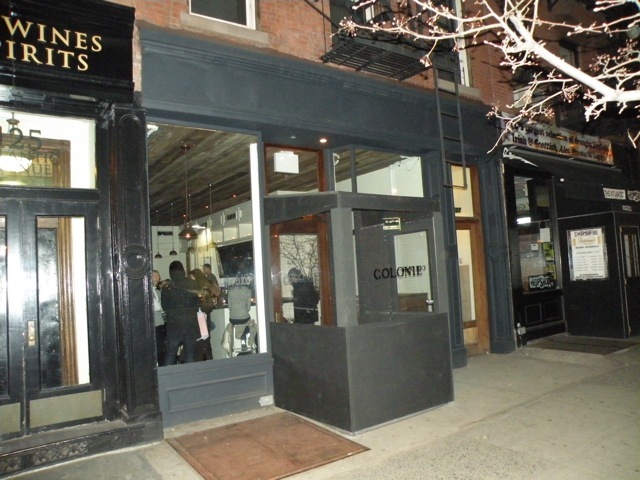 “Colonie“, the much anticipated “locavore” restaurant at 127 Atlantic Avenue (the long-empty “Petite Crevette” space), and noted for using Kickstarter for its initial funding, had its soft opening last night. The doors opened at 6 PM and when I walked in at 7:30, the place was packed. A “friends and family” cocktail party had been thrown last night, but Tamer Hamawi, one of the co-owners said nobody had expected the crowd that showed up Friday evening. 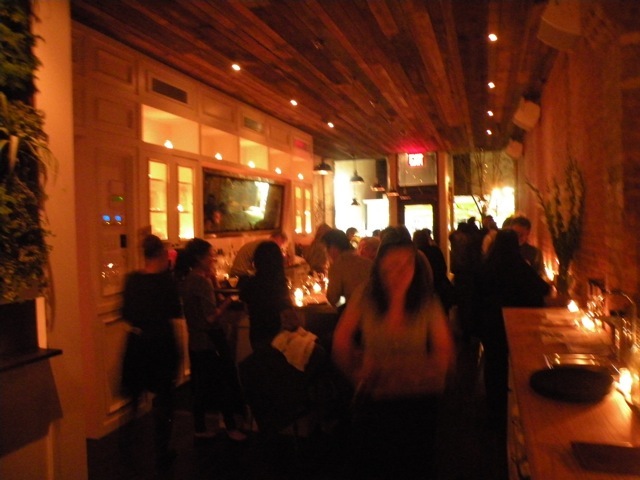 The space is designed to be open and “woody” with muted lighting and candles (note: hard to read menus this way). Notable features include a live fern wall in the middle of the room and an open kitchen with bar seating to watch the show. The menu is a small but well-executed selection of new American and Italian dishes with locally sourced and sustainable products. The wine list includes several NYS wine choices as well as a selection decanted straight from the barrel. While service was understandably slow (but attention to water glasses and napkins never faltered), the food delivered was excellent – rich in flavor without being overly complicated. My wife and I enjoyed a sweet ricotta cheese crostini, skirt stake with delicious winter greens and creamed potatoes, pork chop with mustard apple sauce and buckwheat spaetzle, and a spiced chocolate torte with brown butter ice cream for dessert. Neighboring diners recommended the roasted maitake mushrooms and fried brussels sprouts with cranberries and bacon. A few items are still missing (the meats for the charcuterie option are “still being cured”, and there are after-dinner drinks but no coffee or tea with dessert) but shouldn’t be hard to fill in. 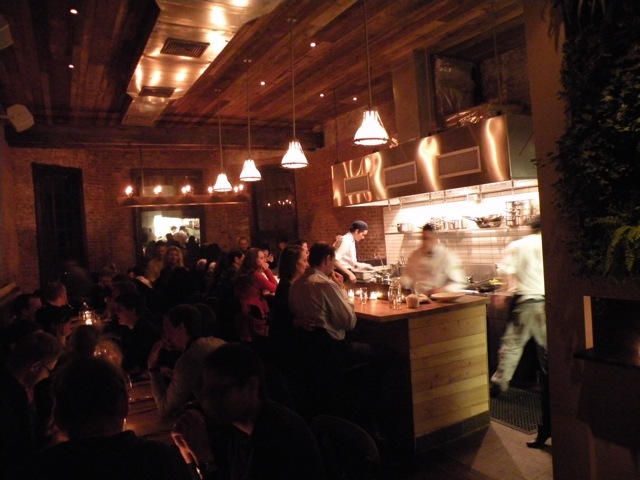 Colonie is refreshing in that it brings all the ambiance and food quality of a Manhattan (or at least a Smith Street) bistro to the somewhat stodgy dining atmosphere in Brooklyn Heights. One they work out the kinks, this should be a sterling addition to the neighborhood. Any idea on the atmosphere or price point? I’m imagining mid-price, adult with a family-friendly brunch. It appears from the menu that the main courses are in the $17-24 range. Not cheap, but the area can certainly use a more upscale restaurant option. Looks like a nice atmosphere based on the photos and Chris’s description too. Look forward to trying it… Welcome to the hood. can’t WAIT to try it out! 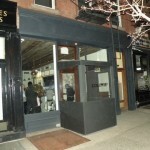 My mouth was watering from this review :) A solid neighborhood spot in brooklyn heights is long overdue. Welcome Colonie!! I walked by Colonie last night and it was seriously packed! Slick looking spot with a very attractive crowd. Not to mention the staff was pretty cute too! I actually might go check it out tonight. Thanks, Haley H. Much obliged. Judging from the ‘Manhattan’ restaurants these guys hail from, I’m sure this joint will be amazing. Public and Double Crown are two of NYCs best establishments. 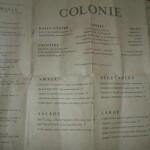 Cannot wait to try Colonie! We stumbled across it since we live near by so we went in on the opening night. In addition to the nice surprise of free champagne, the food was delicious. The service was indeed a bit slow, but not unacceptably, and we just attributed that to first night kinks. A very welcome addition to the area. Amazing addition to the neighborhood! 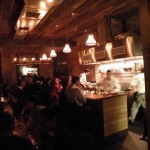 Finally a well designed spot with great food, with steals to be found on the wine list. Welcome to the neighborhood Colonie! 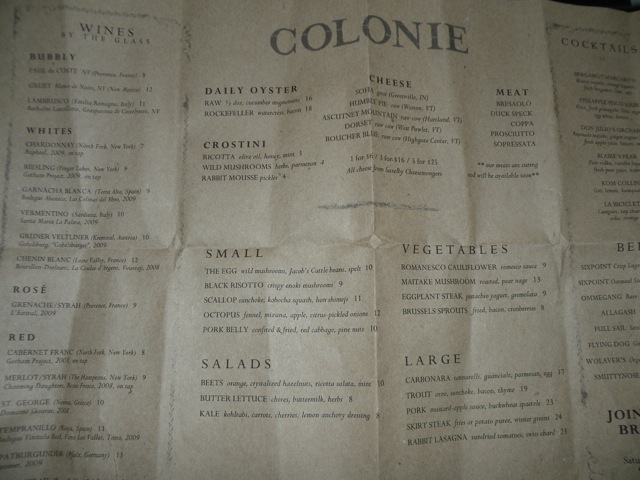 Just got back from a delicious meal at Colonie…..the ambiance is GREAT, yummy cocktails and very good food. I highly recommend the rabit lasagna. So happy to finally have a spot like this in our hood. Am I just being cynical, or is the sudden appearance of non-regular commenters on the awesomeness of this place just a teeny weeny bit suspicious? This is such good news! Maybe the Heights will not wither after all but might even make a comeback? Fingers crossed. Looking forward to trying it before the won’t-control-my-bratty-children crowd shows up and takes over like they usually do. I was at Breukelen a couple of months ago and some father thought it was ok to lean his child’s filthy scooter against our table while we were eating. I think North Heights Res is onto something. These comments are shot through with shills. Why don’t the owners just identify themselves and say “Hello”? Awesome and long overdue – can’t wait to go back! NHR and David — I think the orchestrated nature of the comments has been pretty obvious (I was sort of waiting for Homer to post something about it). The downside is that fake promoting of a potentially good place can turn people off; what’s happening on this page reminds me of the “street pushers” a while back, who were working for the Turkish restaurant on Montague — all their efforts made me just keep walking…. 9:15 pm so the volume reduced and they switched the music to less bass and more 80s) we had a cocktail at the bar – very potent pear martini with nutmeg and vanilla liquer, and with three bartenders, a well-staffed bar. 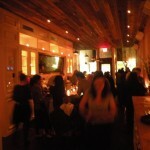 I would definitely recommend it – for the second night open to having a) great food and b) good service – that’s a plus. I’ll go back in a few weeks to see what else they’ve added and also for their charcuterie which looks like a delicious choice. The shilling is confirmed, at least with respect to “Dusty”. I followed the link to his Facebook public profile, which identifies him as a server at Double Crown, a restaurant under the same ownership as Colonie. I agree with bornhere, The food and service may be good but that kind of chicanery is unsettling. It tells of a disingenuous attitude from the management. If they can’t be honest on day one, who knows what other shenanigans they might try to pull in the future. not sure about the “fake commenters”, as i’ve never been to this site before. but i was directed by a link from Twitter. that might explain the newbies. Look forward to trying it! @spm: Thank you for the in-depth report. That’s just what was needed. @my2cents: Great clip. Love the ending.